Yes, I will be car free in Los Angeles in three years. Why am I writing about it now? I am taking the first step to be car free in Los Angeles. I will retire in the next three years and have no need for two cars. Los Angeles is a very much a car town. Los Angeles used to have one of the best public transit systems in the country, but that was nearly one hundred years ago! According to a U.S. News & World Report analysis in 2011, Los Angles is ranked third after Denver and New York for public transportation investment, ridership and safety. There are taxis, Uber, Lyft, MTA (bus), Metro (bus/train/subway), Metrolink (train) DASH (downtown local bus), FLYAWAY (airport bus) and CityRide (65 and older transportation services). There are a lot of choices in public transportation to support my decision to reduce to one car I retirement. The cost of owning a car in Los Angeles is not cheap, although it is not the impetus for this decision. As a lifelong planner and former Chief Financial Officer (CFO), I usually plan ahead. I am planning three years ahead regarding our transportation needs. What prompts this question now? My wife’s 1997 Honda Prelude needs some service and repairs that easily add up to two thousand ($2,000) dollars. Since the Blue Book value is only two thousand nine hundred ($2,900) dollars, I question spending the money. This summer (9 weeks), I barely used eight (8) gallons of fuel. I used my car a couple times a week and mostly on the weekend. I rode my bicycle every day, but did very little driving. My car (Prius) gets fifty-three (53) miles per gallon which means I drove less than one hundred (100) miles per week. It is time to replace my wife’s seventeen (17) year old car and buying another car does not make sense. I am thinking seriously of leasing an inexpensive car. Both my wife and I expect an active lifestyle in retirement. Does that mean we will need two (2) cars? When I retire in three (3) years, my wife will work one more year. 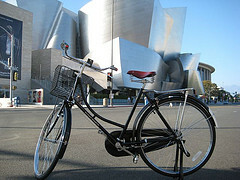 It will be a good test for my plan of car free in Los Angeles during that year. She works less than a half a mile from home and I can drop her at work and pick her up. On the days, I do not need the car; she could certainly take it to work. When we both are retired, we will volunteer for a few hours together or separately. If separately, we will work out the logistics. I can always take public transportation. My senior discount makes that choice very economical. Although my decision has financial savings, it is not the prime motivation. If you use the IRS mileage rate of $.56 per mile, each of my cars cost five thousand six hundred ($5,600) dollars per year or a total of eleven thousand two hundred ($11,200) dollars. Keeping both cars will not impact my retirement, but there is no reason to keep both cars. My other choice is to buy a car and sell it in three (3) years. Cars depreciate and a lease identifies the depreciation at the front end. There are also opportunity costs in buying a car. Opportunity costs is the value of the best alternative forgone in a situation in which a choice needs to be made between several mutually exclusive alternatives given limited resources. In other words, it is the loss of potential gains from the other choice. I usually keep all my money working for me. The loss could be thirty (30%) percent. Being car free in Los Angeles is a little unusual, but not unique. Public transportation is filled with people who may not have their own cars. I will have a car, but only one for both my wife and I. I can always change my decision during my first year of retirement, but it is unlikely. Normally, I would not include this subject in an article, but thought it would be worthwhile to illustrate how you can cut down on expenses during retirement or even other times in your life. Have you ever thought of going car free? A good plan, I think the fact that you’ll always have one car in the household means this won’t be too hard to keep to. I live in the London suburbs, and am one of those people with both a travelcard and a car in my drive. I never drive into London, however I use it to go locally & outside London. I debate going car free, but there are things a car is so useful for – trips to garden centres, DIY stores, hiking trips, dumping things at the tip….so I’m keeping mine, albeit I do a very low mileage. Going from two cars to one in Los Angeles is pretty radical. I know that there are many people who live in major cities who do not have any cars and do just fine, but I am not ready for that. Some day, I will no longer drive and rely totally on a variety of public transportation or have a driver. I downsized about 17 years ago when our children graduated college. The nice thing about living in a major city is I have a lot of alternatives with public transportation as a back up. I will test out my theory in 2 years when I retire and my wife is still working. A excellent strategy, I think the point that you’ll always have one car in the family indicates this won’t be too difficult to keep to. Thanks. It helps we have a lot of choices in public transportation.